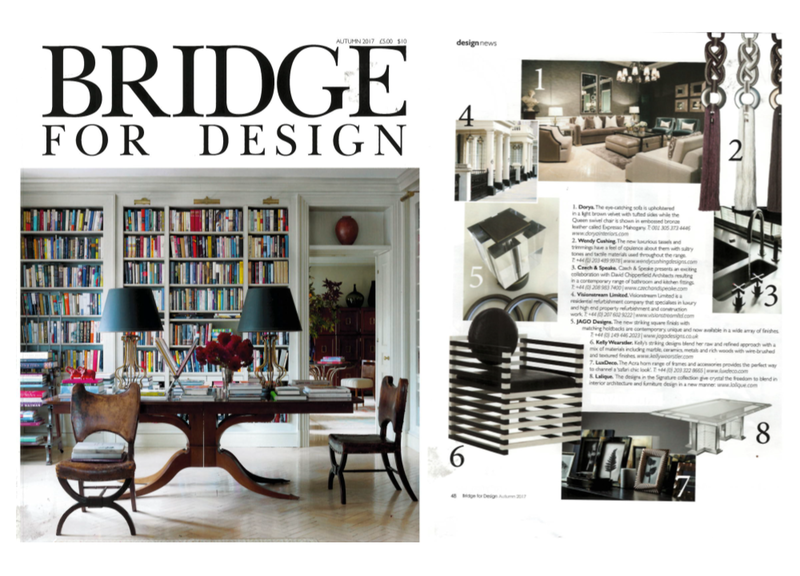 Bridge for Design have featured Czech & Speake in their Design News section with the new DCA/FSD by Czech & Speake Collection, the first contemporary luxury range of the brand. 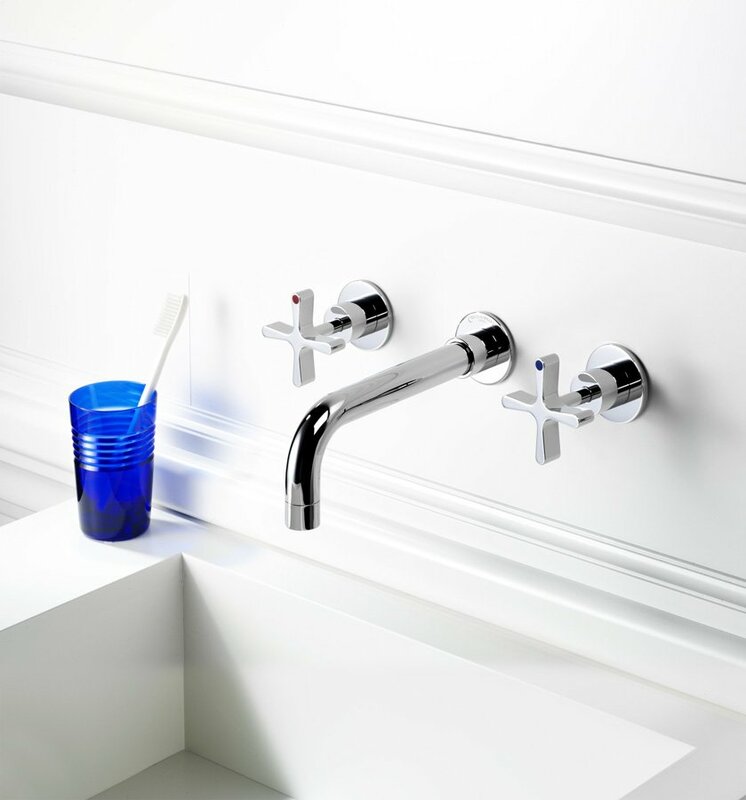 The modern series features a comprehensive programme of classic bathroom fittings, a brand new collection of accessories with blue crystal glass as well as a kitchen fitting. With DCA/FSD Czech & Speake introduces a modern yet timeless range of design fittings and accessories to our existing elegant Edwardian, Cubist and fs bathroom series. Concentrating on detailing and simplicity of form, DCA/FSD is a modern series of functional products that makes subtle use of Czech & Speake’s classic brand identity. Retaining a distinct luxury feel, the range features clean and simple lines and a contemporary cross handle design that suits high quality domestic interiors and commercial projects. DCA/FSD has been extended to appeal to a wide audience of architects and designers. Initially designed in collaboration with award winning British architect David Chipperfield, the DCA/FSD range was developed using Czech & Speake’s innovative manufacturing structure. The result is an intriguing design which combines a crisp architectural language with the timeless design characteristic of Czech & Speake. With DCA/FSD, the English luxury brand presents another master of English design and German engineering. Following on from its elegant Edwardian and Cubist range, DCA/FSD is a continuation of and the contemporary answer to Czech & Speake’s concept of luxurious bathing.